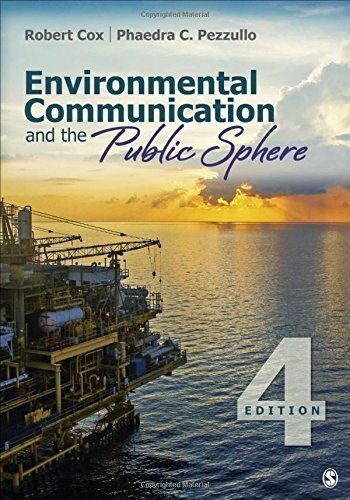 The Fourth Edition of Environmental Communication and the Public Sphere remains the only comprehensive introduction to the growing field of environmental communication, ranging from an historical overview of key terms to important legal and technological developments. This innovative book focuses on how human communication influences the way we perceive and act in the environment. It also examines how we interpret environmental "problems" and decide what actions to take with regard to the natural world. The authors introduce the reader to the major areas, terms, and debates of this evolving field. The Fourth Edition incorporates major revisions that include four new chapters on visual and popular culture, digital media and activism, the sustainability of college and corporation campuses, and the legal "standing" of citizens and nature. Updates throughout the text draw on timely topics including visual communication used in climate science campaigns, fracking and challenges to the right to know, plastic bag bans, consumer apps, digital activism for environmental justice, green marketing, and arguments on giving legal rights to nonhuman entities from dolphins to rivers. View More In Environmental Economics. If you have any questions about this product by Sage Publications Inc, contact us by completing and submitting the form below. If you are looking for a specif part number, please include it with your message.